Watched from the bench by player/manager Kevin Nicholson in his first game in charge, The Seagulls put in an assured display to out-class their higher-Division opponents with a four goal haul that scarcely did justice to their superiority. Mousehole had already beaten two Premier Division sides within the last month – Newquay away 2-0 in the same competition and Millbrook 3-2 at home in the Cornwall Senior Cup – to add to their impressive Cup record in recent times. And this victory was by far the most convincing, albeit against a Sticker side struggling with life in their second season at the higher level after player departures, injuries and suspensions. On a beautiful floodlit evening and in front of a sizeable Mousehole contingent, the visitors survived a couple of minor scares before fashioning early chances of their own, County Youth goalkeeper Ethan Elwell pushing out a Steven Ziboth 20-yard central free kick, Adel Gafaiti volleying a loose ball just wide after a corner, and Calum Elliot hitting the outside of the woodwork from the left. The expected opening goal arrived on 19 minutes when Elliot, playing his last-but-one game before returning to his native Edinburgh, was chopped down after a smart turn in the area, and centre-back Gafaiti comfortably steered home the undisputed penalty kick. A critical moment occurred five minutes later when Mousehole’s young keeper Dom Angove was at his shot-stopping best to beat out a close range drive when a Sticker equaliser looked inevitable, and five minutes later the home side slid a shot just wide of the far post. But that was the last seen of the Sticker attack until the closing stages of the match as The Seagulls’ midfield mopped up everything in front of the back line and kept the momentum in their favour with composed passing and probing forward passes. Steven Ziboth had already made one of his characteristic runs from deep only to be foiled in a one-on-one by keeper Elwell’s block, but he made no mistake on 40 minutes, released by Elliot’s inch-perfect through ball inside the full back to slot left-footed inside the far post from 15 yards for a 2-0 lead, fully deserved on the balance of play. The anticipated Sticker comeback in the second half failed to materialise as Mousehole completely dominated the opening quarter-hour, Steven Ziboth (twice), Lorenzo Qerimi and Tom Hands all coming very close to increasing the lead. Gerens James netted two marginally offside ”goals” but was not to be denied in the 64th minute with a near-post header from Ziboth’s right-sided corner for a more realistic-looking 3-0 score line. Sticker were finding it difficult to get out of their own half but conceded a self-inflicted fourth goal on 75 minutes when Craig Wilcox, a Seagull substitute for only five minutes, was alert to a fumble by Elwell and seized on the loose ball to place an instant left-footed shot into the far corner. With their young substitutes on the field, the home side at last put some positive moves together to mount a handful of serious threats in the last ten minutes, but the Mousehole defence reacted with composure and determination to preserve a clean sheet. The reward for knocking out two higher-level sides on their own turf is a home tie against another Premier Division team, Plymouth Argyle, who as current leaders of the table are the top-ranked club in the competition. 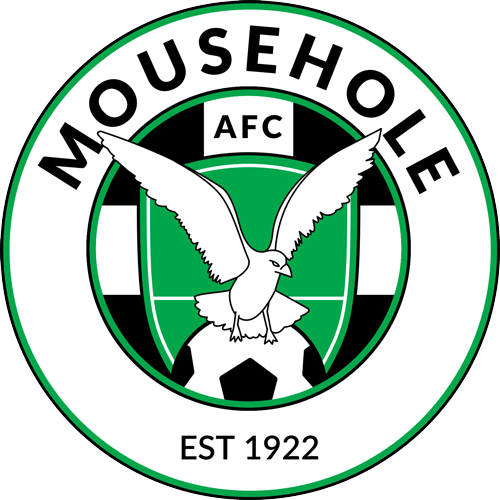 The match, scheduled for Saturday 17th November (2pm), is sure to attract added interest, with Mousehole’s philosophy tested against Argyle’s talented full-time development squad playing attractive football and occasionally supplemented by players from the club’s League One first team group. 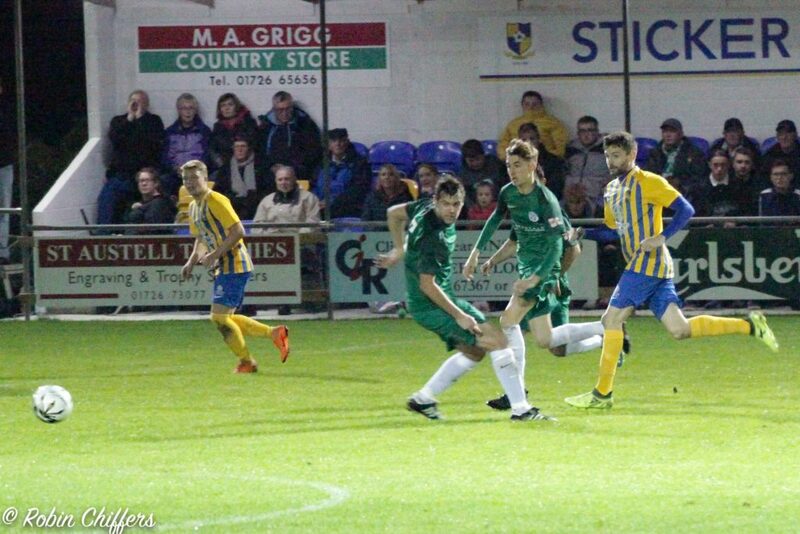 The Argyle game will come a week after the Cornwall Senior Cup second round tie at Trungle Parc against Helston Athletic on 10th November (2pm), meaning that by mid-November Mousehole will already have faced five of the 20 Premier Division teams in this season’s Cup competitions. Before then, The Seagulls travel to two away games in the League, firstly this Saturday (27th) at Dobwalls (3pm), followed by the local derby at Ludgvan on Saturday 3rd November (kick off 2:15pm).